warrior, berserker, thief, shaman, and druid. After the Great War which drove the elves from their homeland, victory enjoyed by the forces of evil was shortlived, as the betrayers of the races of elves and dwarf found out. The land too small to house them, they retreated to below ground, into the caverns of the Underdark. A new race evolved from the disgraced, nameless dwarves that left the fords and forests to spend their lives deep underground. Their skin was darkened by years without sunlight, their reflexes sharpened by new perils found beneath the surface at the expense of wisdom and wit. Duergars, the dark cousins of the dwarves, share the magic resistance of their surface counterparts, and the same stocky build, leading to the same lack of swimming ability. However, where a dwarf dislikes venturing near water, a duergar fears it, cursing its very existence. The story of why dwarf betrayed dwarf leading to a split in tribes has not been passed down the ages, however the hatred for each other burns as strong now as it did from the beginning. Driven mad by years spent underground in peril, duergars are twisted, paranoid beings, always suspicious of the other races conspiring with the dwarves to bring about their downfall. They trust none, often fighting amongst even themselves, only having the slightest of friendships with the fire giant race, for their slow minds safeguard any chance of betrayal. In the great multitude of races of Serin, duergars stand out as the most suspicious race, full of doubt for the motives of others and a victim of their own confinement. Their own backstabbing nature only serves to worsen their paranoia of others. 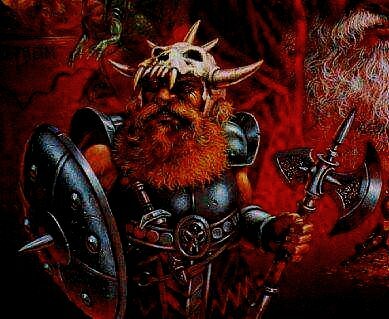 Duergar berserker - Malice of the Underdark. Duergar berserker - Unending Greed. Duergar thief - Faerie Bane. Duergar thief - Vicious Stroke. Because of their magic resistance, a duergar can afford to wear less saves equipment than normal. Duergars have solid all-round stats allowing them to compete in whatever guild they choose.